Nothing is more profitable than a loyal customer. They buy more, they refer others to you, they will take a chance on new products, and they will forgive the (occasional) mistake. 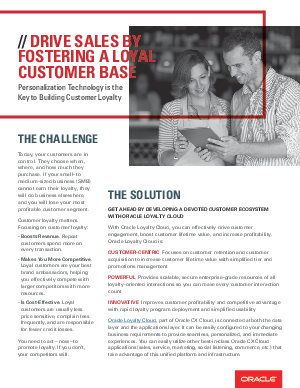 But most companies do not have the tools needed to foster loyalty and higher lifetime value. Download this guide to see how to build a loyalty program that goes beyond personalized email blasts and quickly creates the right loyalty program for all your different customer types.